Our innovations team is expanding. 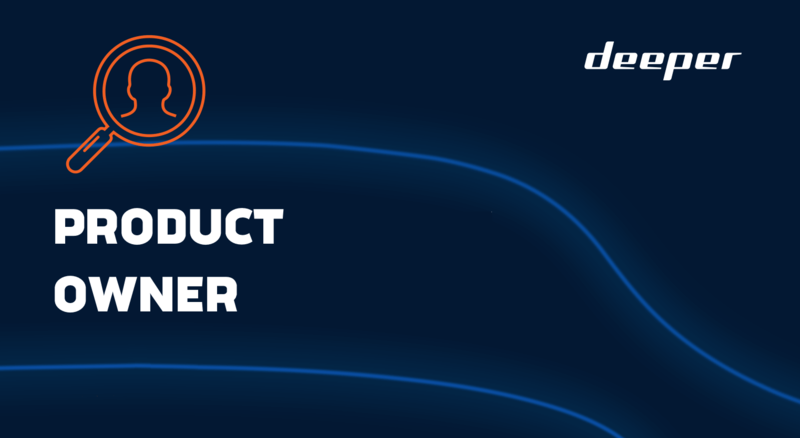 Join Deeper as a Product Owner and be responsible for defining the path of how our product will further evolve. Our ideal candidate for this role is an analytical, customer-focused team player who will own the entire product lifecycle from strategy to launch. You will also work cross-functionally to complete product roadmaps and discover new opportunities. – Creating business models and analyzing the competitive landscape. – Conducting extensive customer engagement and validation. – Planning product development strategy and implementing this together with project managers and our marketing, R&D, and sales teams. – Planning the budget for the product’s development and revenue streams. – A Bachelor’s degree and at least 3 year’s experience in Product Management, Engineering, or Consultancy. – Strong written and verbal communication and collaboration skills. – Fluency in English, as this will be your primary working language. – The opportunity to contribute towards creating the next big thing at Deeper. – A five-star office in a beautiful park with an open workspace, a terrace and a quiet spot for a power nap. Please send your CV in English, to career@deeper.eu. Please use the subject line “PRODUCT OWNER”. Please note, only candidates selected for an interview will be contacted.